BONALDO. Eighty years of history and passion for design. 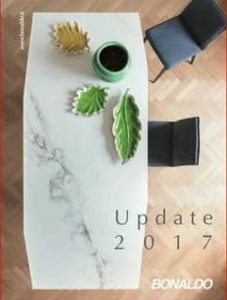 Bonaldo was set up 80 years ago and specialises in the production of furniture and interior design items: three generations’ dedication and commitment have allowed the company to become a major benchmark in the sector. Bonaldo has always been a solid example of Made in Italy success, even abroad: every component of its tables, chairs, sofas and beds is created in Italy, certified in terms of authenticity and quality and is the result of the strictest control process. Versatility and eclecticism are the distinguishing traits of the Bonaldo product range, which is designed to accommodate in the best possible way the wishes of a dynamic and international target. The company has always invested in research both in the production field – with innovative materials and cutting- edge machining processes – as well as in the design sphere, thanks to collaborations with a large number of designers from Italy and abroad. Over the years, Bonaldo has developed its international approach to design, setting up a widespread network across the world markets. The story of Bonaldo began in 1936, when Giovanni Vittorio Bonaldo started up a craft-based business specialising in metal working. During the 1950s, production began on bedsteads, and it was extended during the ’60s to iron beds. An extraordinary intuition led to the production of a folding bedstead, which went on to become a market standard. The company subsequently specialised in the production of tubular metal and invested in new technologically sophisticated machinery, choices which allowed it to extend its range of products and to implement machining processes at the very cutting edge. The first time it took part in the Salone del Mobile International Furniture Show in Milan in 1971 marked its transition from a prevalently craft-based business to an industrial concern. In the 1980s, Bonaldo expanded its range with convertible sofas and sofa beds, specialising in the production of upholstery and in the processing of polyurethane foam, by setting up a variety of companies. The company’s further growth led to the production of its first collection of beds. In 2000, Bonaldo embarked upon collaborations with some of the biggest designers on an international scale, launching the company onto the interior design market. 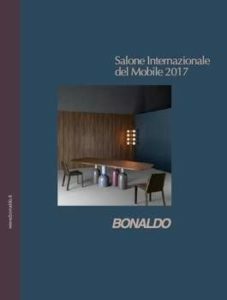 2002 saw the start of the incorporation of the various companies and since 2008, all productions (tables, chairs, sofas and beds) fall under the umbrella of a single concern, Bonaldo SpA. The Bonaldo showroom – designed by the architect Mauro Lipparini – was inaugurated in 2011. 2016 marks a very significant milestone for Bonaldo: the company celebrates its eightieth anniversary since it was established. To celebrate such an important achievement, the brand has come up with a series of initiatives: the most significant one will be the conception of a celebratory product, devised by designer Alain Gilles and premièring at the Salone Internazionale del Mobile in Milan. Bonaldo’s story is tied closely to the processing of tubular metal, an expertise which still distinguishes the company today. The diversification of production subsequently led the company to develop skills in the processing of a variety of materials, from wood – in particular solid walnut and oak tops, treated with special processes which retain the natural appearance of the wood finish – to glass, from stone – mainly marble and basaltic lava stone – to plastic and natural cement. As regards the padded products, the company recently renovated and extended its range of sofas and beds, by introducing new models as well as new upholsteries and finishes. 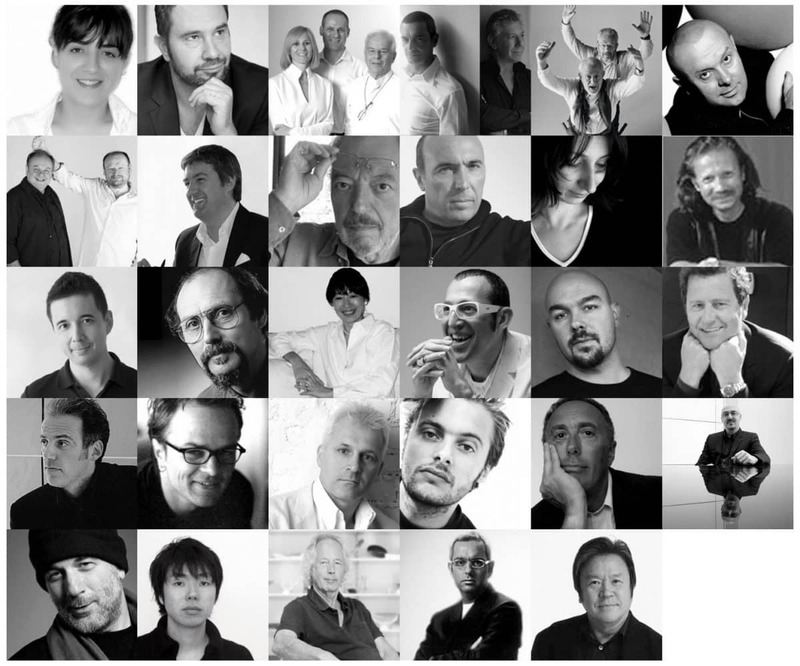 DESIGNERS AND DESIGN AWARDS Combining Italian know-how with the creativity of established international designers and emerging young talents to create value: over 25 different designers and architects have contributed over the years to interpret the Bonaldo style, including Karim Rashid, Bartoli Design, Mauro Lipparini, Ron Arad, Toshiyuki Kita and Alain Gilles. Eclectic synergies which have led to the creation of complex projects, distinguished by a rigorous simplicity, pure silhouettes and different materials, leading in many cases to the creation of symbolic products. This international approach to design has won Bonaldo a large number of awards, assigned by cultural bodies and industry associations, including the Red Dot Design Award and the If Design Award. at the Salone del Mobile in Milan. and not just an emergency solution. Chiaramonte and Marin, won the Young & Design Award. the Good Design Award by the Chicago Athenaeum. merged to form a single company. the Good Design Award 2008 and the Red Dot Award 2008.
as the iconic Bonaldo product. it won its tenth Good Design Award. the table Welded by Alain Gilles won the “Red Dot: Best of the Best”. won the 2013 Good Design Award. was awarded with 2014 Good Design Award. 80th anniversary of the company foundation. 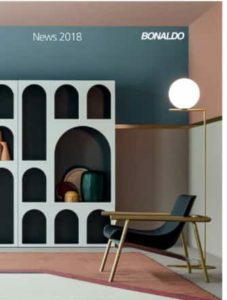 Bonaldo products are absolute protagonists of images, leaving room for colour, movement of shapes, lights and shadows, the “pure” dynamism of design. The personality of each item is enriched by the surrounding environment, the atmosphere and the style of the models photographed. A new decade, a new means of communication. Luca Laurenti is the creator of a series of shots created through co-marketing with Patrizia Pepe. For the millennium campaign, Tom Vack used lights and colours like in an art catalogue. The 1980s for Bonaldo meant: a series of extremely creative announcements, for a collection based on practicality, made even more special thanks to the idea of the information coupons, perfect for bringing the brand even closer to the people. The first press campaign was the expression of creative and articulate communication. Fundamental importance is always placed on the development of the company’s own language and continuity of dialogue with the reference figures both in the corporate area and the more specifically commercial field. NEED MORE BONALDO INFORMATION ?